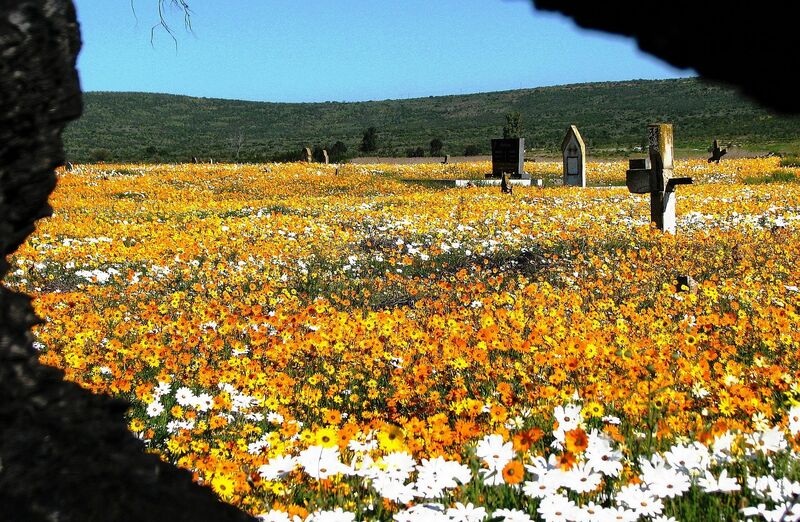 Where to see the Spring Flowers in South Africa. Spring has sprung in South Africa and natures flower blooming spectacle is in full swing so now’s the time to gather your friends and family, fill the car with supplies and head out into the sunshine. Whether you’re a flora expert or novice, young or old it’s impossible to not be captivated by the explosion of colour that carpets the various landscapes of South Africa every spring. Although famous for its rolling fields, the West Coast is not the only spot to see the flowers and from fields of cosmos and flowering aloes in Mpumalanga to sunflowers in the Free State and proteas in the Eastern Cape, there’s an opportunity for everyone to witness this fantastic display all over the country. Cosmos Country is a region of Mpumalanga straddling the borders of the Free State and Gauteng that lights up every year with field upon field of swaying cosmos. The pure multitude of these pretty flowers transforms the landscape into a kaleidoscope of pink, purple and white and makes the perfect backdrop to any holiday. If you’re a sunflower lover like myself this one is must-see. Near Kroonstad on the N1 between Bloemfontein and Johannesburg is a hidden gem that transforms into a golden spectacle in September and October. So whether you’re just passing through or staying a while you have to make a plan to see their smiling golden faces. The wild flowers of Namaqua National Park have made it one of the top destinations in South Africa for flower season and it’s easy to see why. 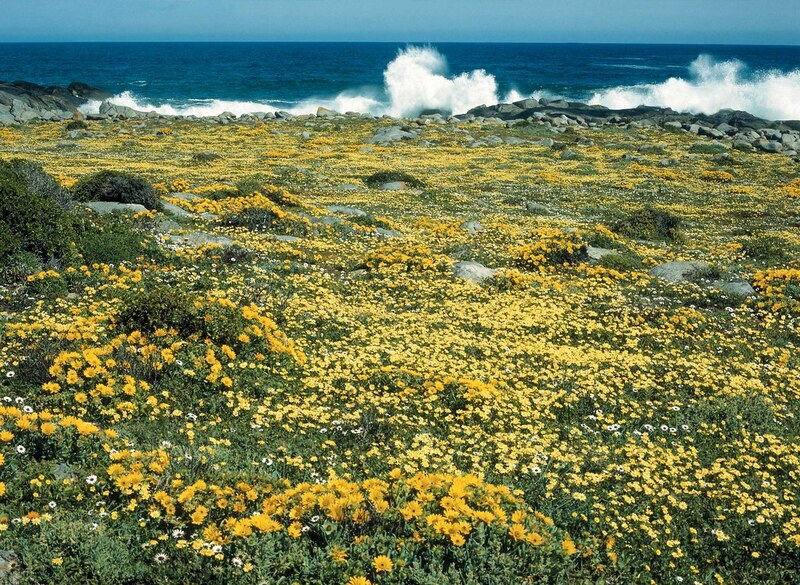 About 7 hours’ from Cape Town it’s a bit of a drive but so well worth it and although you’ll be able to spot flowers all along the way Namaqua National Park is the heart of it all, part of the semi-desert Karoo biome there are over 1000 plant species just within the park. Just outside of Kamieskroon, Skilpad Wildflower Reserve forms a part of Namaqua National Park and is where you’ll find an incredible concentration of flowers that bring visitors coming back year after year. Picture fascinating tortured rock formations, iconic quiver trees, big blue skies and carpets of flowers. A stunning rainbow of petals erupts on the West coast of the Cape Town every spring and for some locals once September rolls around a visit to the West Coast National Park is mandatory. The northern section of the park, Postberg Flower Reserve is only open the public at this time and is crammed full of pretty blooms. If you’re lucky enough you may even be able to spot some of the local zebra or buck. Only an hour’s drive from Cape Town it is also the perfect day trip. Just 3 hours from Cape Town is this stunning little corner of South Africa framed by ancient mountains, dramatic sandstone formations, vast tracts of wilderness and unpolluted night skies. The best spot for flowers would be the Biedouw Valley, where you can stay in rustic white washed self-catering cottages surrounded by fields of orange and yellow petals. While you’re there dip into some history and check out the ancient rock art on the Sevilla Rock Art Trail which is also another great way to see the flowers. This year the Darling Wildflower Show will be celebrating its 100th year and is sure to be a celebration not to be missed. Each year the local club hall is transformed into a stunning landscape exhibition that recreates the vibrant surrounding veld and hills that we see in spring. The flamboyant showcase is filled with delicate blooms picked under the strict supervision of the Darling Wildflower Society. 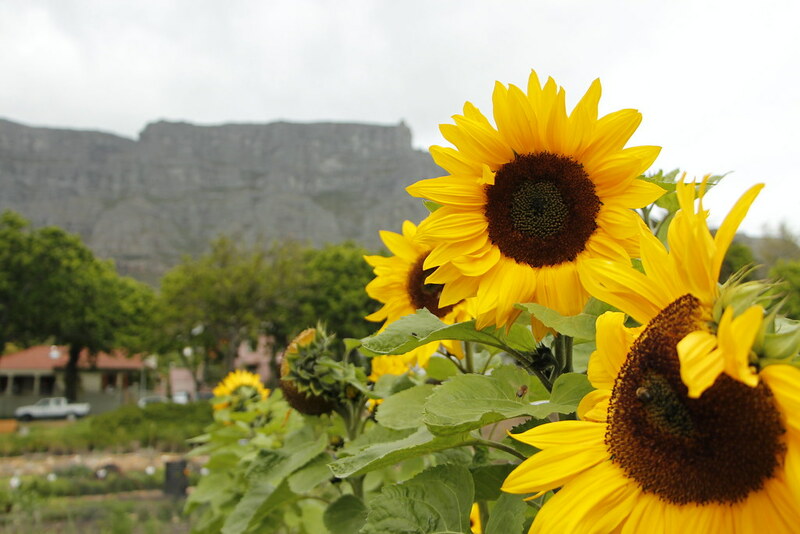 A chance to see some rarities and get to know more about South Africa’s local flora. Best of all there are some amazing craft stalls and delicious food stalls for you to enjoy after. Each year, the sleepy town of Haenertsburg comes alive with their annual spring festival. Local horticulture enthusiasts flock to this little town in Limpopo to see the myriad of blooms on show. Again there’s something for everyone and a host of home crafted, baked and cooked goodies are available to enjoy. Please complete the form and submit it to us, we will reply within 24 hours.